If you’ve ever lost a tooth which left a gap in your beautiful smile, we have some wonderful news for you. Using a modern dental technology called implant dentistry, we can successfully replace missing teeth permanently, right here in Fresno. 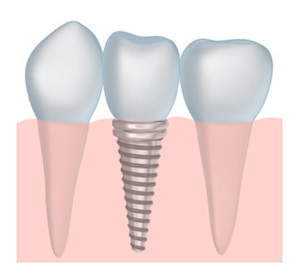 A tooth implant is a synthetic tooth root that is made of titanium or a metal alloy. Dental implants are inserted into the jawbone, and act a bit like a natural tooth root, which provides us a great place to anchor a dental crown or other dental apparatus. Permanence and versatility | Dental implants are a permanent tooth replacement solution, as they are anchored in the jaw and with a tooth crown function much like a natural tooth. 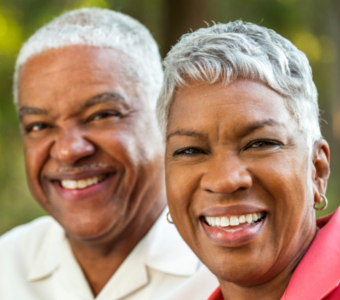 In addition, dental implants can be used to anchor permanent dentures including all-on-4. Strength | A tooth implant acts a lot like a natural tooth root, because it helps provide support to your jaw. When a tooth is extracted, it can cause your jaw to become weakened, and over time your jaw can deteriorate. By using implant dentistry you can help restore some of the support to your jaw and help prevent more deterioration. We are proud to offer dental implants as one of the many services we have available at Mirelez Wellness Dental near Clovis and Madera. Our team is skilled at placing both dental implants and mini dental implants, so if you choose Mirelez Wellness Dental for your implant dentistry procedure you will receive high quality dental care. Have any questions about dental implants? Contact us today if you are in the Fresno area, including the communities of Madera and Clovis! Ready for a Full Smile?